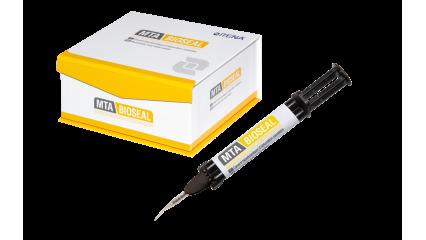 MTA Bioseal is an endodontic root canal sealer based on Mineral Trioxide Aggregate. It is a double paste component that allows complete filling of all root canals including accessory and lateral ones. MTA BIOSEAL contains 13% of Mineral Trioxide Aggregate. Use MTA Bioseal in complement with MTA Biorep to ensure your endodontics repairs.